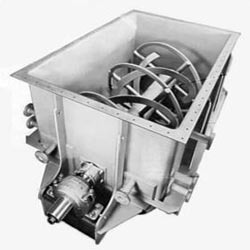 Established in the year 2007, we Sigmaa Engineering are recognized amidst the distinguished manufacturers and suppliers of an assorted range of Heavy Engineering Components. We use optimum quality factor inputs that are procured from the most reliable vendors in the manufacturing process of these products. Also, our professionals direct their efforts to provide our clients Fabrication Services of Sheet Metal, Pipeline and Structural Steel. Due to high performance, sturdy construction and longer functional life, our entire offered range is highly acknowledged in the domestic market. With the aid of our state-of-the-art infrastructure, we are able to fulfill the bulk and urgent orders of our clients by providing prompt delivery of products and timely completion of fabrication work. At our quality control department, the products are subjected to severe tests on certain parameters to ensure our clients are benefited with qualitative and high durable product range.